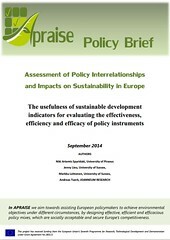 We welcome you to the Project: “APRAISE – Assessment of Policy Interrelationships and Impacts on Sustainability in Europe” started in October 2011 and carried out under the 7th Framework Programme (FP7) of the European Commission (ENV.2011.4.2.1-1: Efficiency assessment of environmental policy tools related to sustainability, Grant agreement No. : 283121). 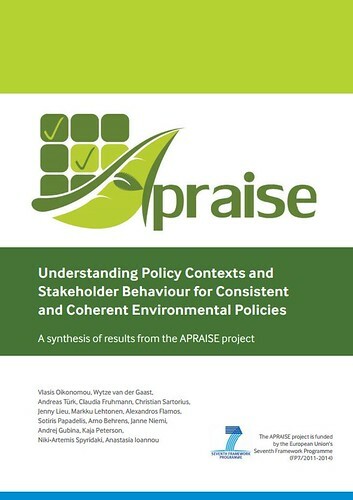 The overarching motivation of APRAISE is to contribute to research on and application of sustainability-oriented policy making by building a more comprehensive understanding of the policy systems at a sectoral, national, and pan-European level.